Turku Book Fair’s themes will be updated – in the future the fair themes will include not just literature but also other art forms. The Turku Book Fair will take place from October 4th to 6th at Turku Fair Center. The renewal of the book fair’s themes means that, in addition to the main cross-disciplinary theme, there will be one or more topical themes each year, concerning current phenomena, developments and topics. “Already next autumn, we will start a series of cross-disciplinary main themes, which are intended to broaden the concept of literature as an art form – to highlight its naturally cross-disciplinary dimensions and to serve an audience that consumes a broad spectrum of culture. First in line is theatre, the art form that is probably closest to literature,” says the Turku Book Fair’s Programme Manager Jenni Haukio. “We have been delighted with how the theme has been received. Among the theatres that have signed up are the Finnish National Theatre and Turku City Theatre,” says Haukio. 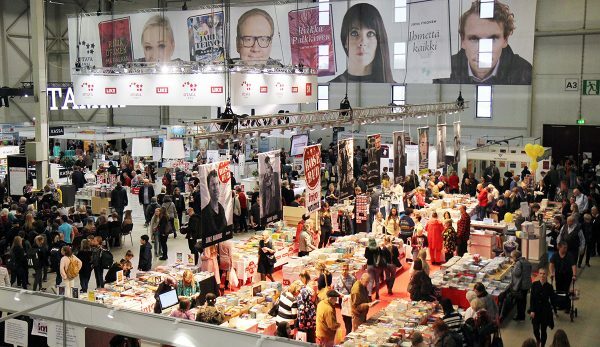 International authors will still be in attendance at the Turku Book Fair. The fair will also feature stands for different countries. Close collaboration with publishers will continue and visitors will get a chance to meet literary and cultural guests. Haukio has selected as this year’s topical themes the cultural impacts of climate change and literacy and its advancement. The main partner for the cultural impacts of climate change theme is Sitra and other partners include the Finland Futures Research Centre. Participants in the book fair also include the literacy advocacy organisation Lukuliike, Lastenkirjaininstituutti, which promotes reading and literature for children, and the Confederation of Finnish Industries EK with its Operaatio Ankka literacy campaign.